How Do You Promote Effective Learning Environments? Get Energized! 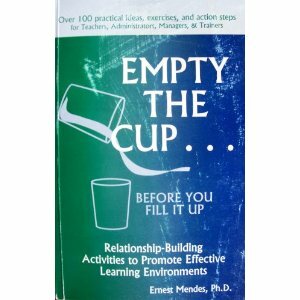 Dr. Ernie Mendes, a keynote speaker at the University of WAIC, was one of the first to do a doctoral study on Emotional Intelligence (E.I) and his book "Empty the Cup... Before You Fill it Up" is a best seller with practical activities to build effective relationships at work and the classroom using E.I. theory and neuroscience. Empty the Cup... Before You Fill it Up has 100 practical ideas, exercises, and action steps to create more mental space for learning, bring the human connection into meetings, build community, and coach participants to communicate more effectively. Emptying the Cup creates space for communication, learning and attention and Chapter 12 is dedicated to the 10 energizers that will revitalize any group, at any time. Buy the book on Amazon now. 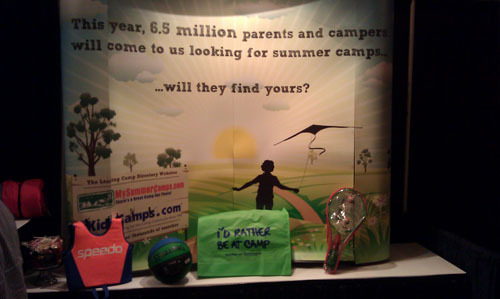 What's one of the most important elements to your advertising page on MySummerCamps and KidsCamps? That's right, the title. Titles are almost as important as a logo. It's usually the first thing a prospective camper sees and the last thing they'll remember. Here are some helpful pointers to make sure you are getting the most of your advertising with us. 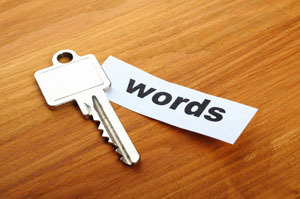 Titles are keywords for searches both on our site and in search engines. We found the most popular searches are searches done by location (City and state). Therefore by stating your location either by city or state, may significantly improve your odds of being found. If your name is Camp Cherokee you may consider changing it to Camp Cherokee at Kings Mountain State Park or Cherokee Adventures on Kings Mountain. Most of our campers know what they are looking for, let's make it easier for them to find you. Some of you have unique camp names; ranging from Quin-Mo-Lac Camp to Okitayakani. With such unique names it's hard for a camper to get an instant idea what your camp is all about. Let's say you are a tennis camp. Windridge at Teela-Wooket may not convey your camp's specialty as Windridge Tennis & Sports Camp at Teela-Wooket may. Another great idea to make sure your title stands out is by stating your location. For example say you are Vogelsinger Soccer Academy and you offer multiple locations. Creating unique titles for each location will not only facilitate SEO but will also create a way for campers to distinguish your camp. Vogelsinger Soccer Academy at The Brooks School may be more memorable than simply Soccer Academy Camp. MySummerCamps.com and KidsCamps.com joined the annual Western Association of Independent Camps (WAIC) Conference in Palm Springs, CA for a refreshing weekend of the education, networking, and sharing. It has been a great pleasure to meet the great people at WAIC and the WAIC members. The Western Association of Independent Camps (WAIC) is a group of independent day and resident camps in the Western United States. Not only do all WAIC camps get accredited through the American Camp Association, and therefore meet the camp industry's highest standards for safety, staffing, health, and programming, but also feel and act like a big family. MySummerCamps.com and KidsCamps.com sponsored a free raffle to win a listing on MySummerCamps.com - and the winner is: IC 1230----Camp Kinneret, MySummercamps.com Gold listing free from 12/8/2011-12/08/2012. We look forward to coming back next year - Best of luck on your 2012 season! 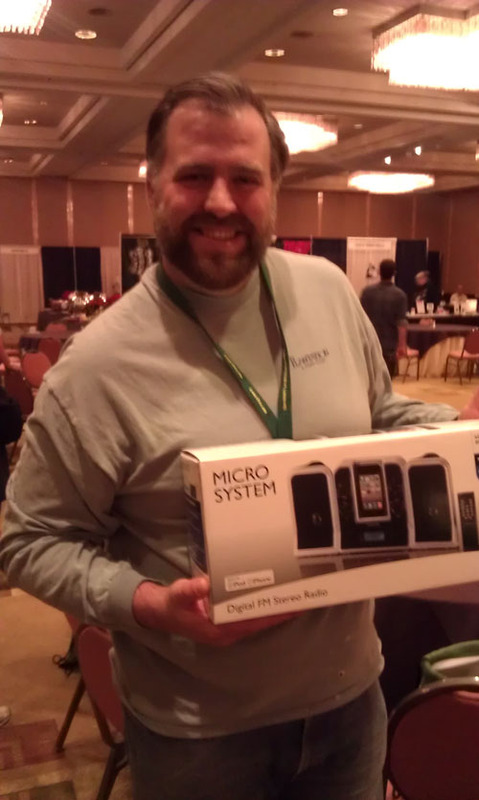 Johm at Plantation Farm won our prize!